Since they are engineered specifically to enhance grip, cut resistance and flexibility, the Ansell HyFlex 11-630 HPPE Cut-Resistant Work Gloves offer outstanding performance in handling and assembly applications. 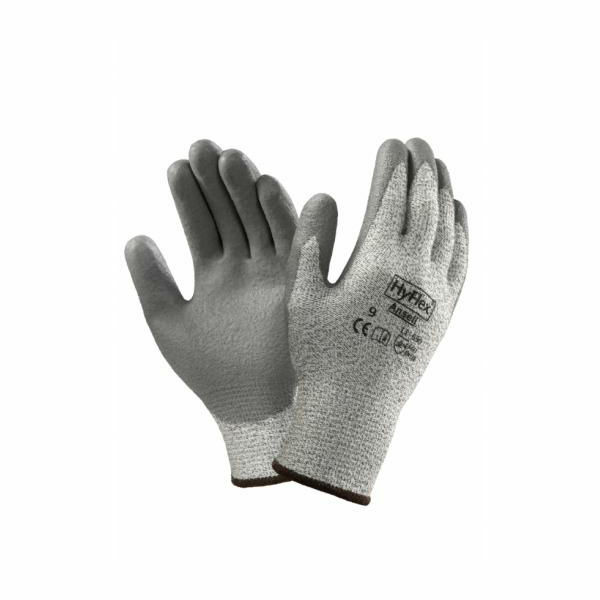 With an oil resistant design, the gloves combine HPPE with Lycra, which has the effect of producing an extremely dexterous and sensitive glove that retains strength, allowing the user to be productive without worrying about injury. The Ansell HyFlex HPPE Work Gloves are available in six sizes that should suit the hands of most users. Please measure the circumference of your hand around the knuckles (excluding the thumb) with your hand open and your fingers together, and the length of your hand from the tip of your middle finger to your wrist.